Approaching the training for my first half marathon was tricky. I was in season which meant that I had 6-8 workouts a week that were dictated for me, and any kind of distance running would be completely auxiliary to my current training plan. While in season, we are given Sundays off. This seemed to be the best and only time in which I could fit in a long run. I was not alone in my running. 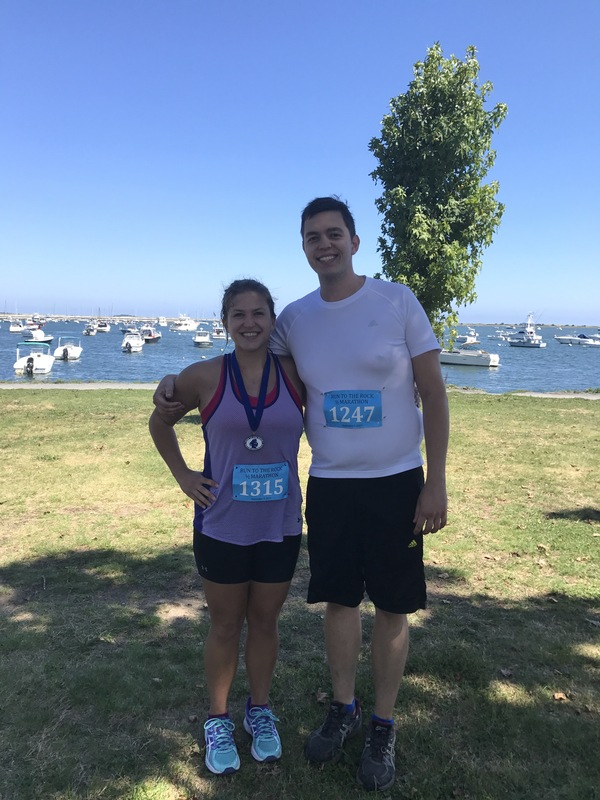 Not only would my boyfriend would occasionally join me for my runs, but also my best friend who is also on my team would tag along for the Sunday distances. It was nice to have someone else to run with who was already fatigued and overworked from our more-than-daily crew practices. We agreed as a cohort that our 8-mile+ runs would be done at a leisurely, can-kinda-talk-while-running pace. We followed no formal training plan; our goal was to wake up and run the 13.1 miles as fast and as well as we could. As soon as our season ended, it was race day. I made my personal goal to finish in under two hours which seems like a lofty one at the time. Additionally, I had my period. This fun surprise was paired with the decision to run with my diva cup in which had the potential to be highly problematic. I had been using it for only half a year and running with it in the past was not always comfortable or doable. I took the chance and wound up with no period-related issues. As soon as the race began, I realized that I was able to sustain a pace that was faster than I thought possible. I maintained my 8:20 pace for the first 9 miles which was a significant drop from the 9:30s we had been doing in practice. Perhaps it was the high volume of training I had with the running being supplementary to an already difficult regiment. When I finished, my legs felt like they were on fire, but I was so proud of what my body accomplished. I’m not the fastest runner, but I really love to run. Though not mandatory, I run the 2.25 miles to practice every morning in lieu of taking the vans. If I had to choose a preferred form of exercise, it would definitely be running. Luckily, running was the only thing I could actually do for a large chunk of this past summer. Without any kind of pacing or focused training, I signed up for an end-of-summer half marathon. 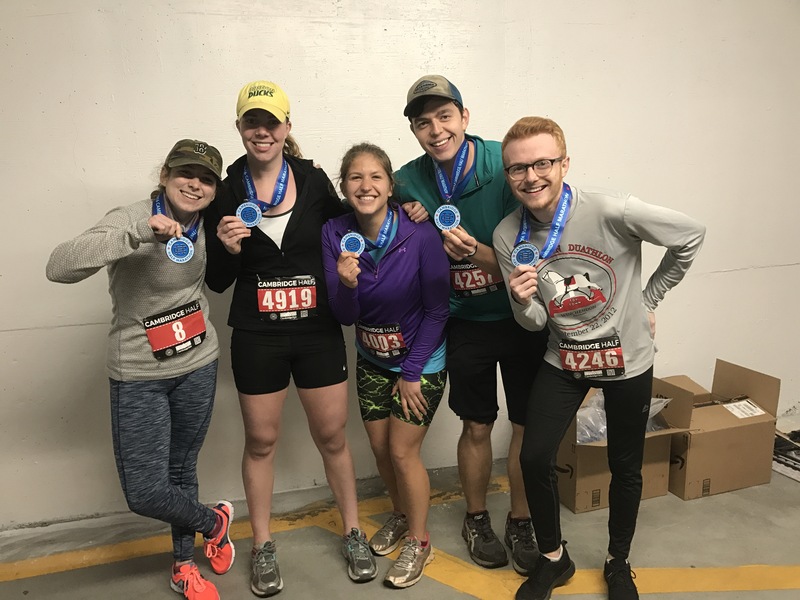 In the two weeks I had back in Massachusetts before my second half marathon, I took two intentional training runs: one 7-mile and one 10-mile. Simultaneously, I had to teach myself how to have power on the erg before practice started, but that’s a different story. The 7-mile run went perfectly fine, though much slower than I anticipated. The 10-mile one ended with me nearly passing out from not eating enough beforehand. Let’s say that I did not feel prepared for the 13.1 miles ahead of me. Unfortunately, we had to drive the 2.5 hours to Plymouth the morning of the race, so my last minutes of sleep were in a car. It was unseasonably cool which was perfect running weather. I ate my Clif bar and became afraid of how this run would make my body ache. I had run in the 10k at this same race the year before, so I had certain expectations despite the different course. Boy, was I mistaken. The 2-hours-and-3-minutes went by very slowly. Though I was pretty disappointed with my time, the course was almost entirely uphill. It was the most unforgiving course I had ever seen. It was also littered with those people. You know those people? The ones who run really fast, then walk up the hills, but still somehow manage to stay ahead of you. It was miserable, and I think I had to pee the entire time. It took everything in me to not pee as I drank the bottle of water they handed me at the finish line. The instant soreness also increased my worries for the 5k erg test I had two days later, but I like to live life on the edge. No matter how many complaints I have about the course, I have to admit that this is one of the best-run races I have experienced. They are well-organized and make directions very clear. They also give nicer shirts than the Cambridge Half. (I donated mine already; it was tight in the arms and the most dreadful fabric.) Although I have vowed never to run this again, I’m fairly certain I will forget the pain and sign up again next year. I would love to do the Cambridge Half again because of its interesting course and bougie freebies, but it is scheduled for a weekend that I will be out of the country. Alas, I found this Rhode Island beauty. The course claims to be relatively flat and is surrounded by bodies of water. (I love water.) I already have two people signed up to go with me, so I’m excited for another family adventure. It is the weekend after my season ends, so this might mean some complications in the realm of training, but I’m excited either way. Pretty awesome for your first half, especially with the hills!! Congrats! !